Outdoor cinemas seems to be all the rage right now, but Cinema at the G offers a very unique opportunity. 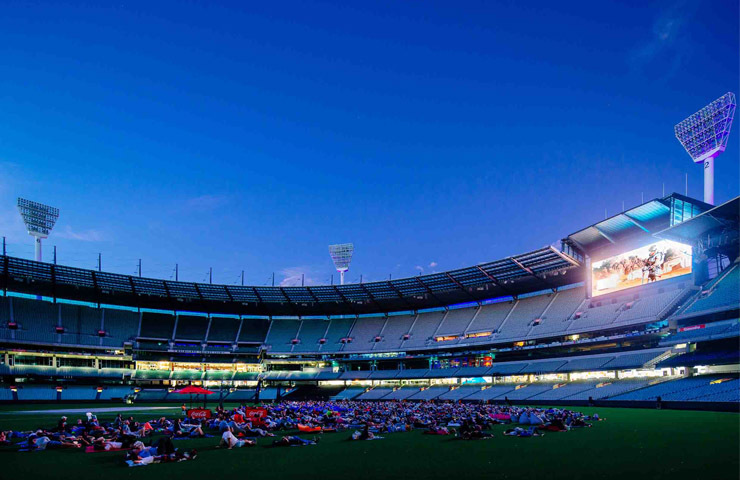 For two nights only, you can enjoy a movie under the stars inside one of Melbourne’s most iconic venues, the mighty MCG. After a very successful first year (watch the recaps below) , Cinema at the G has returned, in partnership with Bank of Melbourne, for a night of great entertainment. Proceeds from the event will go to the Bank of Melbourne Neighbourhood Fund, to help Victorian communities in need. While the opening night screening of Lion is sold out (trust us, you wouldn’t have been able to even bask in the glory of the MCG through the tears), you can still purchase tickets for this coming Saturday the 25th of Feb for the screening of Sully (again, you may want to pack a box of tissues), which tells the true story of the pilot who successfully landed his aircraft into the Hudson River, saving every passenger on board. The movie stars Tom Hanks and is directed by Clint Eastwood. With an expected crowd of 2000, make sure you get in line early to reserve a good viewing spot on the field, so you can see Tom Hanks up-close and personal. Pack your blankets, pillows and some snacks in preparation for the night, but please don’t pack any glass! There will also be a range of food and drinks on offer to purchase. Gates open at 6:30pm with the movie commencing at 8:30pm. Ticket prices for general admission are $27 for adults or $23 for children/concession card holders.